Nashville, TN is gloriously known for its fantastic live music bar scene, impeccable southern cuisine, and whiskey, and the biggest event of the year: the CMA Awards Extreme Connect user conference – especially if you are in healthcare IT! There are a ton of reasons you won’t want to miss this event – the entire agenda, really – but my focus for this blog is to provide some highlights for my favorite industry. The daunting challenges facing healthcare today include managing costs, improving outcomes, and delivering the best possible patient and clinician experience, all while maintaining tight medical and cybersecurity. This panel will dive into how network architectures and services are evolving to address the Quadruple Aim of healthcare, as well as HIMSS’ new INFRAM framework and will cover topics of importance to the real-time health system, including medical IoT, network analytics, network security, real-time locationing, and secure BYOD access and control. The session will use real-world experiences and audience interaction to dive into lessons learned and best practices – you won’t want to miss it! The last day of Extreme Connect is all about YOU! The Healthcare ‘Birds of a Feather’ session provides the perfect opportunity for you to connect with your peers on the topics you care about, so you can discuss common issues and compare notes with fellow healthcare IT managers. Visit the healthcare demo station during the conference to take a quick customer survey. 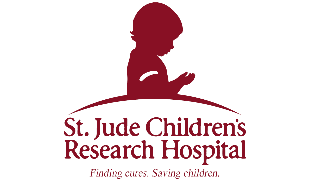 For every respondent, Extreme Networks will donate $5 to St. Jude Children’s Research Hospital. For more reasons why you won’t want to miss this event, check out my previous blog: Healthcare Guide for Extreme Connect 2019!